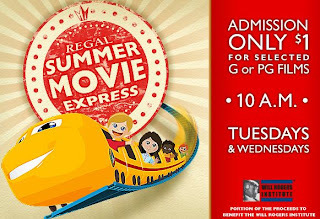 What is Good: Regal Summer Movie Express 2011! Regal Summer Movie Express 2011! 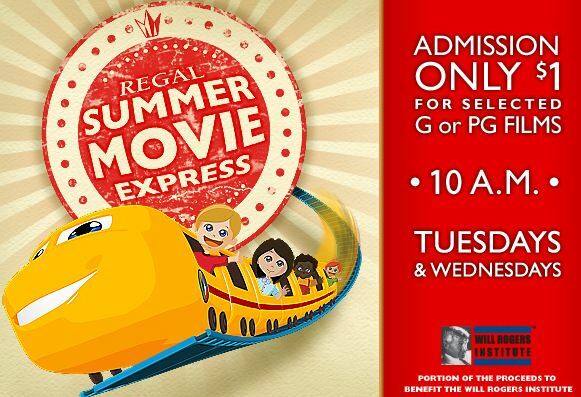 The Regal Summer Movie Express is back. Last year we enjoyed this wonderful discount movie festival that Regal Cinemas offers in the summertime. During the next several weeks on Tuesday and Wednesday mornings at 10:00 you can visit select Regal Cinemas, United Artists and Edwards Theatres and enjoy select G or PG rated movies for $1.00! You can't beat that! Last week Alex went with his cousins and saw How to Train Your Dragon and had a blast, stayed cool and hung out with his buddies and auntie! Visit Here to find a participating movie theater near you and hop on board the Movie Express, maybe we'll see you there! Too bad no theaters are doing this near me! What a great idea! Movies are so expensive now days! Soo cool!! I have a theater near our home that is participating.. my mom does daycare, this sounds like the PERFECT summer field trip! Hi! New follower from Monday Hop! I would love for you to stop by http://aboutamom.com to say hi & return follow!